There was a press conference held at Carrefour Laval today with a number of dignitaries there to celebrate the introduction of the AHL's newest relocated team. 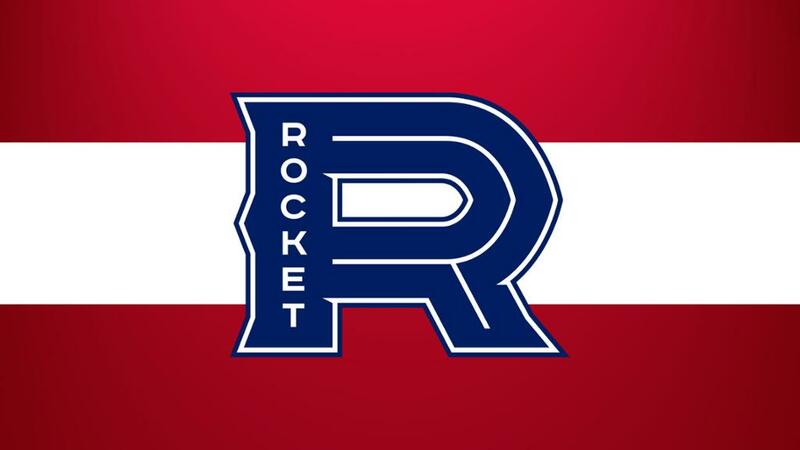 Canadiens owner Geoff Molson and general manager Marc Bergevin were both in attendance as the AHL welcomed the Laval Rocket to the fold today, and I will go on record right now in saying that I'm not a fan of the Rocket's look. I've often thought it would be difficult to screw up the red, white, and blue of the Montreal Canadiens. After all, those are pretty bold colours that seem to work well together. If you've been reading this blog, though, you know how much I despise hockey jerseys being used to celebrate anniversaries or commemorate events with which the team has no ties. A team's brand is vitally important to its survival over time, and using the logo to represent something other than the team is nearly blasphemy. "We reached our objective by creating a logo and uniform that solidifies the historic link between the Rocket de Laval and the Canadiens, while honouring a Quebec legend, and by creating a new identity for a new generation of fans. "We can proudly say that the Rocket is now solidly entrenched deep in the heart of Laval's sports landscape and that our thirst for success is as strong as our desire to be proud ambassadors for the city of Laval." Excusez-moi, but why do all sports franchises seem to think that they are immediately ingrained into the franchise's chosen city's cultural and societal fabric just because it set up shop in that city? No, the Rocket are not "solidly entrenched deep in the heart of Laval's sports landscape" because they have yet to exist for even a day. And what sports landscape does Laval have that allows a brand-new team to become deeply entrenched on its first day? Honestly, I really am starting to hate all of these marketing catchwords and phrases. Seriously, the Rocket de Laval and Montreal Canadiens actually paid someone to design these uniforms. According to the release, the team "teamed up with the marketing agency lg2 to develop its logo and brand identity." I don't think they got value for whatever amount of money they paid because there's a lot on these jerseys that doesn't make sense nor can it be rationalized. 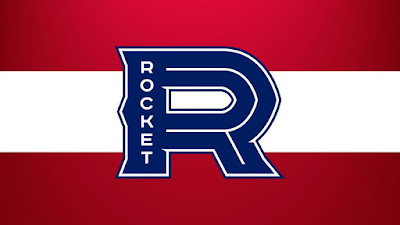 First, the name "Rocket" has been used in Quebec before, and specifically in Montreal. That logo to the right is what the QMJHL team wore, and that logo looks an awful lot like the number-nine like Maurice Richard wore. Coincidence? No, not at all. In 1999, the team played its games at the Maurice Richard Arena after being named for the legendary forward, but dwindling crowds in Quebec's largest city forced the team to move in 2003 after the team posted losses in every year. The city of Montreal had an opportunity to honour a legend long ago, and they didn't care whatsoever. And, from what we saw at the World Junior Championship games in Montreal, it seems the people of Montreal still don't care about junior hockey or any other hockey outside of their beloved Les Canadiens. Ok, so leaving past indiscretions towards one of their beloved hockey icons in the past, let's see what the hockey marketing geniuses came up with when rationalizing these new jerseys for the Laval squad. 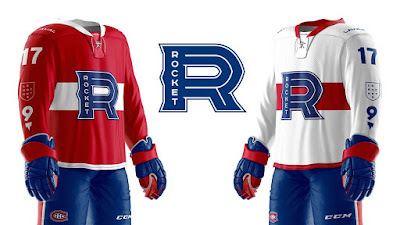 Inspired by the theme, History is Our Fuel, the Rocket de Laval jersey combines blue, white and red, which have been the Canadiens' trademark colours for more than a century, while emphasizing the strong connection between the Rocket and the parent club. The link to the legendary Maurice "Rocket" Richard is omnipresent, with patches featuring number 9 on each of the sleeves. A graphic flame icon propelling the Rocket's number upwards is also found below the player's number on the back and on the socks, drawing a reference to the speed of a propelling rocket. The Laval logotype appears on the shoulders as well as in the neck tie of the jersey. 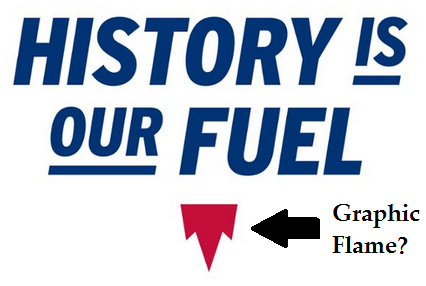 The graphic flame is probably the lamest thing I've ever seen on a jersey. It doesn't look like a flame whatsoever. I have seen rockets take off, and the flames have never looked like the garbage under the numbers on these jerseys. If anything, it looks like an upside-down mountain. And if he were still with us, I'm almost certain that Maurice Richard would be embarrassed by these uniforms. This is not how Maurice Richard would want to be honoured for his exceptional career. He was a proud man. The patch on the sleeve that breaks up the name words "Le Rocket" into three levels on the shield is dumb - completely dumb. The Laval word mark on the shoulder at least allows fans to know where the team is from, but it looks incomplete. Where are the Canadiens' logos? Why is there a white line inside the logo and the numbers? Is this some sort of avant-garde art project that somehow got approved in a mix-up? I'm not a fan. I don't buy into the marketing spin in tying in the legacy of Maurice Richard. I don't buy the garbage element of the graphic flame. I don't buy this entire branding done by the Canadiens and the Laval AHL team. These jerseys feel like a beer league team's uniforms, not professional hockey team's uniforms. And that's about the nicest thing I can say about them. These uniforms are absolute trash, Laval. And stop treading on a hockey legend's pride to sell tickets. Maurice Richard deserves better than what you've delivered here. There are many signs of an unhealthy relationship. Things like a lack of trust, a lack of communication, and ultimatums to leave all contribute to an unhealthy relationship, and it's almost better to cut ties once the threat of one or both sides leaving is played, especially in public. Relationships can still be salvaged from this point, but both sides need a new attitude about committing to one another if things are going to work. Ladies and gentlemen, I give you the unhealthy relationship between the Barclays Center and the New York Islanders. In news that hit the wires today, it seems that Barclays Center is no longer happy with the New York Islanders as its tenant and is thinking about terminating their agreement to play in Barclays Center as early as the end of the 2018-19 season. Apparently, the low attendance and oft-heard complaints about the venue is no longer worth the $53.5 million annually the Barclays Center pays the Islanders in exchange for control of business operations, which includes revenue from ticket and suite sales. I'm starting to feel a little deja vu. I quoted this Stu Hackel article from The Hockey News before, but Hackel identified this business arrangement on July 19, 2015 as "a highly unusual situation". The agreement to move the franchise includes the provision that the arena pays Islanders ownership an annual sum to play at Barclays Center and, in exchange, Barclays Center acquired all ticket and suite sales, sponsorships, marketing and promotions and their revenue. That arrangement was confirmed by Brett Yormark, the CEO of both the Barclays Center and the NBA Brooklyn Nets, the original team in the building, in a late June conversation. Yormark added, "Charles made a promise to us and he's delivered a very good team to us, and we're going to monetize it." The Islanders declined comment on the agreement. Yormark's comments in 2015 are clearly different from how the owners of Barclays Center feels now. But if we look deeper into this mess, the problem in this equation isn't the Islanders. With Barclays Center in charge of all ticket and suits sales, sponsorship deals, marketing, and promotions, having the third-lowest attendance in the NHL would make those in charge of all of the above factors responsible for attendance at the rink for Islanders games. I don't live in Brooklyn or New York City, so I can't comment on the promotions happening in and around the rink. You would imagine, however, that the promotions would include the fact that the Islanders won their first NHL Stanley Cup Playoff series in 23 years on Barclays Center ice. That doesn't seem to be the case, though, and the Islanders getting off to a slow start this season certainly didn't help the walk-up ticket sales. The Islanders have been better, though, but the sight lines inside the building - including the entire zone that disappears under the balcony at one end - haven't been improved. That falls directly on the arena once more. With NHL Commissioner Gary Bettman's comments at the NHL All-Star Game in Los Angeles this week, this could just be a move by Barclays Center to establish a negotiating position if Bettman's comments hold true. He told reporters, "The owners are committed to the franchise, they're committed to New York and the great fan base that has followed the Islanders. There are some issues about playing in Barclay, it may be fundamental as to the ice system and that's not something that can be fixed in the short term. I think as is prudent Scott Malkin and John Ledecky are reviewing the situation and looking seriously at what their options are." As stated by Bettman, "Scott Malkin and John Ledecky are reviewing the situation and looking seriously at what their options are" in regards to the ice system at Barclays. We've heard players make comments about the ice in Barclays Center, but ownership and NHL have never once made a comment about it. Until now. That could have been the catalyst for this new development in the Islanders-Barclays relationship that seems to benefit no one entirely. This situation needs to be resolved one way or another. Ideally, the Islanders would play in an arena they own where they would make business decisions based on their entire financial picture instead of a $53.5 million payout annually. For Barclays Center, they're now bleeding money in making that payment to host 41 nights of NHL hockey annually in front of some 12,500 people, and they may be looking to renegotiate the terms of the agreement going forward which, in turn, would put more pressure on the Islanders as the majority of their revenue-generating options are controlled by Barclays Center. In the end, one of the main reasons why relationships fail is squabbles over money. It appears that this relationship which was supposed to benefit both sides will just be another statistic unless the Islanders and Barclays Center can find a way to keep one another happy, especially in the pocketbook. No one - especially the fans of this proud franchise - will win if these two sides don't resolve this. With a number of teams down players this weekend thanks to their participation at the 2017 World Universiade Games in Almaty, Kazakhstan, there were opportunities for movement in the standings. The Regina Cougars lost three players while the Manitoba Bisons lost two. Alberta, Saskatchewan, and UBC all had one player head over to the Games, so it would be an interesting weekend in Canada West women's hockey. Calgary and Lethbridge were literally playing for their playoff lives with Calgary all but mathematically eliminated, but both teams could find themselves out if Mount Royal did their part and got a little help along the way. Let's find out what happened this weekend in Canada West women's hockey! MANITOBA at CALGARY: Calgary had to win out and get some help if they wanted to see the playoffs this season, and having the fifth-ranked Manitoba Bisons would be a tough test for the Dinos. Things didn't start well for the Dinos as Manitoba struck first. Courtlyn Oswald picked up the puck behind the net, stepped out in front of Kelsey Roberts, and roofed a backhander past the netminder at 11:57 to put the Bisons up 1-0. It would be the only goal of the opening frame that saw Manitoba double-up on Calgary in shots by a 10-5 margin. The second period would see Manitoba's top setup woman get in on the goal-scoring. Lauryn Keen picked up a Jayden Skoleski rebound and potted it behind Roberts at 7:13 for a 2-0 lead. Calgary would respond, however. Sara Craven took a pass from Heather Berzins in the high slot and spun around while shooting, catching Rachel Dyck off-guard as the puck went up high for the goal at 14:00 to make it 2-1. 1:09 later, Merissa Dawson's slap shot deflected off Kira Makuk who was in front of Dyck providing the screen, and Dyck couldn't stop the redirection as the Dinos made it 2-2. The Bisons would grab the lead back 2:06 after Makuk's goal. After a fantastic end-to-end rush by Venla Hovi that Roberts stopped, Jordyn Zacharias was on the doorstep for the rebound that slid under Roberts at 17:15 for the 3-2 lead. The third period saw chances at both ends of the ice, but the netminding and posts were up to the task in keeping this a one-goal game. Late in the period with Roberts on the bench and the extra attacker out for the Dinos, Lauryn Keen picked up a loose puck in her own zone and lifted a puck high down the ice that found the yawning cage with 1:22 to play that gave Manitoba the 4-2 victory. Rachel Dyck was good on 14 of 16 shots for the win while Kelsey Roberts stopped 23 shots in the loss. Unfortunately, with the loss on Friday night, Calgary was eliminated from the playoffs entirely. MANITOBA at CALGARY: Saturday's game became a game of spoilers for Calgary as they looked to derail the momentum of Manitoba as they tried to continue their move up the standings. The star of today's game almost stole the points entirely for the Dinos. Kelsey Roberts and Rachel Dyck allowed nothing by either of them in the opening frame, but Roberts was outstanding in the first period. Manitoba outshot the Dinos 12-4 and that total included a breakaway by Venla Hovi who was turned aside by Roberts. Calgary caught a break early in the second period. Merissa Dawson dumped a puck in on Rachel Dyck that looked like an easy catch with the glove, but the puck deflected off her glove and into the air before coming to rest behind Dyck and the goal line for the 1-0 Dinos lead at 3:04. Manitoba, after the goal, simply applied more pressure. It would take some time, but they'd finally beat Roberts. Karissa Kirkup started the play off by giving the puck to Jayden Skoleski who hit Alana Serhan with the pass, and Serhan spotted Kirkup behind the defence and threaded the needle. A breakaway with a move stick-side by Kirkup gave the Bisons the equalizer at 16:44. Minutes later while on the power-play, Lauryn Keen found Jordyn Zacharias in the slot who fired a low shot stick-side past Roberts at 19:14 and the Bisons were up 2-1 after two periods. The third period was a goaltending clinic put on by Kelsey Roberts as she stopped Alana Serhan on a partial breakaway and somehow kept a Jenai Buchanan shot out of her net in a 16-save third period. The Dinos, though, could only muster four shots and no additional goals as the Bisons escaped an outstanding performance by the Calgary netminder in a 2-1 win. Dyck would make just 10 saves in the win while Roberts was brilliant in a 41-save performance on the night. MOUNT ROYAL at ALBERTA: The first game of this home-and-home series went in Edmonton, and it was a classic in every sense of the word. It would take 67:37 for a goal to be scored as Mount Royal's Zoe Beauville was unbelievable in the blue paint. Honestly, Alberta dominated almost every aspect of this game. Had it not been for DeBeauville, this game could have been over early. The only goal was scored in three-on-three overtime. Cayle Dillon's shot glanced off a Mount Royal defender that caught DeBeauville off-guard, and the dented twine signaled the end of this amazing game as Alberta took the 1-0 double-overtime victory. Lindsey Post stopped all nine shots she faced for the win while DeBeauville deserved much better in a 34-save performance. ALBERTA at MOUNT ROYAL: After a game like we saw on Friday, what would Saturday bring with the series shifting back to Calgary? If you had said, "Another one-goal game," you should be buying lottery tickets. It would take 45:09 to get that goal, but Alberta capitalized on a power-play. Kennedy Ganser wired a shot past Emma Pincott on the blocker side, and the Pandas grabbed the 1-0 lead. While Mount Royal did mount two additional shots of offence in this game, it didn't matter to Dayna Owen as she recorded the 11-save shutout win in the 1-0 Alberta victory. Pincott, like DeBeauville, played exceptionally well in making 26 saves despite the outcome. LETHBRIDGE at UBC: You might think there's a trend developing here. The top-ranked UBC Thunderbirds hosted the Lethbridge Pronghorns who needed some points, but it would be Lethbridge's netminder who nearly stole the show. After a scoreless first period where Alicia Anderson made some incredible saves, the T-Birds would finally solve the cagey stopper. Katie Zinn poked a puck from inside a scrum just inside the post as Anderson struggled to locate the puck in among the skates, and UBC grabbed the 1-0 lead at 14:51 of the second period. That would be the only time either lamp was lit, though, as both Anderson and UBC's Amelia Boughn were up to the task in this one. However, the final horn sounded with UBC taking the 1-0 victory. Boughn needed 13 saves for the shutout win while Anderson played out of her mind in a 33-save performance. LETHBRIDGE at UBC: I've been preaching it all season, and the same fate happened to Lethbridge on Saturday as it has for a number of teams this season. You cannot take copious amounts of penalties against the UBC Thunderbirds and expect to survive. UBC got a power-play goal from Nicole Saxvik at 19:42 of the first period, another from Celine Tardif at 8:50 of the second period, and a third extra-man goal from Stephanie Schaupmeyer at 18:24 of the third period to pace the T-Birds to the 3-0 win. It was a big effort from the Thunderbirds who dressed just 16 skaters on Saturday due to ongoing injury problems for the team. Tori Micklash stopped all 17 shots she faced for the shutout win while Jessica Lohues stopped 33 shots in her net in the loss. SASKATCHEWAN at REGINA: This series could determine who gets home-ice advantage in the first round of the CWUAA Playoffs. Both teams were missing stars due to the Universiade Games with Regina down three players - Jaycee Magwood, Kylie Gavelin, and Alexis Larson - while Saskatchewan went into battle down one player - Kaitlyn Willoughby. How much of an impact would this have on either team? We found out 24 seconds into this game. Emily Upgang picked up a loose puck along the boards and wheeled and fired a slap shot that Morgan Baker couldn't get the blocker on, and it was 1-0 Saskatchewan before the ice had even frozen. Things settled down for the remainder of the first period and for most of the second period, but the Cougars found their claws. A Saskatchewan defender fumbled a pass at the blue line, and Sam Geekie was off to the races. Her low shot on Cassidy Hendricks was stopped, but the puck sat loose near her pad in the blue paint. With the mob of Huskies and Cougars crashing in on Hendricks to try to gain control, it was Meghan Sherven who found the loose puck and slid it across the goal line at 15:30 to make it a 1-1 game heading into the third period. Both teams had opportunities to jump ahead, but goaltending was on display at both ends of the ice. The time ticked down to the final horn in regulation with the score still knotted up at 1-1, so it was off to free hockey! The four-on-four period saw Bailee Bourassa thread a backhander over to Lauren Zary who made a great move to deke around Baker and tuck home the winner with the backhand as Saskatchewan ended this game at 4:26 of overtime with the 2-1 win! Hendricks picked up the win in a 18-save performance while Baker suffered the loss despite making 25 stops. REGINA at SASKATCHEWAN: The series shifted back to Saskatoon for Saturday where it was apparent that the Regina Cougars needed a win if they hoped to track down the Huskies in the standings. What we got from these two teams was a defensive battle! The only goal of the game was scored late in the first period while Regina was on a five-on-three advantage. Lilla Carpenter-Boesch found a rebound on the power-play and went five-hole on Cassidy Hendricks at 18:37 to put the Cougars up 1-0. And that was it. Ok, not quite it as both Hendricks and Regina's Jane Kish went into lockdown mode, but the final score in this one was another 1-0 decision. Kish was the busier of the two goalies in making 29 saves for the shutout while Hendricks made 20 stops in the loss. As you can see, the top-six teams on the standings table have been bolded and italicized. Those will be your playoff teams this spring for the CWUAA title that is currently held by the UBC Thunderbirds. There's still some room for movement as both second-place and fourth-place need to be decided, but if Calgary can pick up a couple of wins against their crosstown rivals in the Calgary Dinos the race for fifth-place or even fourth-place could get tighter depending on the other results this upcoming weekend. The final weekend where Manitoba meets Alberta in Edmonton, Saskatchewan hosts Lethbridge, Regina visits the Dinos in Calgary, and Mount Royal goes into UBC could be the best weekend of hockey this season. Get down to your local rink and support these amazing women! You're missing a ton of outstanding hockey! The Coors Light NHL Skills Competition went from Staples Center in Los Angeles tonight - from this point forward, referred to only as the Skills Competition - and it was a bit of a yawner. It never quite has fund the traction it once had when there were legitimate rivalries between certain players - MacInnis vs Iafrate, Gretzky vs Lemieux, and so on. With players performing at extremely high levels in all aspects of the game, there really isn't any handful of players whose skill level alone blows you away. But that doesn't mean you won't see someone do something spectacular. Arizona's Mike Smith is 11-13-5 with a 2.85 GAA and a .917 save percentage for the lowly Coyotes this season. Arizona needed a representative so that every team had at least one player at the All-Star Game, but that selection probably shouldn't be questioned after what Smith did in the Honda Four Line Challenge. Tasked with scoring a five-hole goal from 200-feet away, Smith took some time in lining up his shot. You heard Craig Simpson on the Sportsnet coverage mention how much the puck curled back towards the five-hole target before going in. That alone would make it an extremely skillful shot. To me, the flip that Smith uses is the real story here as the puck travels to center ice end over end before falling flat on the ice and curling into the net. If that puck skips in any way by catching an edge, the curl wouldn't have the factor it did. Mike Smith has scored a goal in the NHL, but that might have been the most accurate shot he's ever taken in his career! The other highlight involves a goaltender who was beaten cleanly. Carey Price doesn't give up many goals in the NHL season, and he was certainly on his game at the Skills Competition. It looked like he might shutout the Pacific Division's shooters in the shootout portion of the event, but one player had other ideas as Kesler broke in on Price. Ryker Kesler broke in on the NHL netminder and went backhand-forehand-five-hole on Price to get the Pacific Division on the board. Ryan might want to take notes on that move in case Anaheim meets Montreal in the Stanley Cup Final as Ryker beat Price cleanly on the shot! In all seriousness, how cool is that moment for the Keslers? On top of that, Carey Price deserves some credit for making Ryker's night while Sidney Crosby gave the little Kesler phenom a tap on the skates with his stick as he returned to dad. Class acts all the way around for the NHL players. In the end, the Atlantic Division won the Skills Competition and chose to play the Metropolitan Division in the second game in tomorrow's NHL All-Star Game. If Price plays as well as he did tonight, it may not matter who the Atlantic Division plays as he was on his game for this event. Sidney Crosby won the most accurate shooter event, Shea Weber is now a three-time defending champion in the hardest shot event, and we had a couple of highlight-reel moments from the event. Mission accomplished for the NHL, I guess. There's something rather fulfilling when you're invited out to an event. As you're probably aware, The Hockey Show on UMFM has visited a few places around the province where we've been lucky enough to broadcast our show and interact with the great people in those communities. We're always looking to make a trip somewhere and bring some publicity to various events, but the event may do that for us this time in our latest invitation. 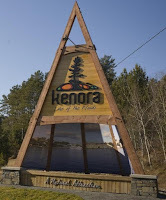 The Hockey Show on 101.5 UMFM will travel east in February to the town of Kenora in northwestern Ontario where we'll have a chance to do something we never thought would be possible. As you may be aware, Kenora is the site for this year's Scotiabank Hockey Day in Canada! On February 18, Ron MacLean and the crew from Rogers Sportsnet will be out in Kenora to bring to you a celebration of hockey as all seven Canadian NHL teams will play on that day. Along with the NHL action, Rogers Sportsnet will bring forth a number of grassroots stories, hockey memories, and hockey games at various levels among the broadcasts of the NHL games. Needless to say, the town of Kenora will be bustling on that day! 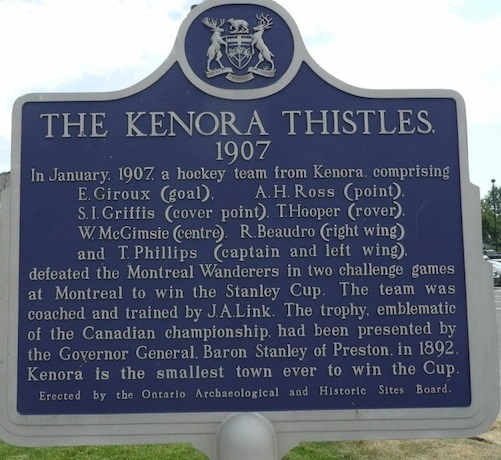 Events run from Thursday through to Saturday evening as the town of Kenora will welcome a number of NHL dignitaries, a pile of fans, and even more eyes via television to their community. As you're probably aware, The Hockey Show broadcasts on Thursday, and we have been granted permission from Rogers Media to join them in Kenora to broadcast our show! Now you might be thinking, "Teebz, a one-hour radio show doesn't really provide the aura that television can." You're entirely correct in this aspect, so we're actually doing something else that night that has never been done on UMFM before. Our show is from 5:30-6:30pm CT as normal, but we have agreed to remain on the air on the UMFM Second Stream found exclusively on the UMFM website to broadcast the NHL-vs-Kenora & Thistles alumni game! We will broadcast the game in its entirety much like we do with University of Manitoba Bisons hockey games, and we'll work with the arena and its staff to bring you as many cool features as possible! 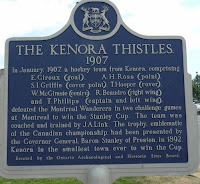 The Kenora Thistles hold a distinction as being the smallest city at any point in history to win the Stanley Cup as they did in 1907 when they defeated the Montreal Wanderers in a pair of games in Montreal. While I doubt that any of the alumni from that team will be playing, there were many iterations of Thistles teams that followed that may have players who will suit up. Among the names you may recognize, former NHLer and Kenora-born Mike Richards will play, Winnipeg Jets CEO Mark Chipman will play, and longtime NHL goaltending coach Rick St. Croix will don the equipment for the game. There are still details to be worked out, and I am in contact with both Rogers and the organizing committee in Kenora to ensure we have a smooth broadcast on February 16. Hockey Blog In Canada will have photos that day from events and a write-up of everything we get involved with, so make sure you're tuned to the three places where all the action is happening on Thursday, February 16 in 101.5 UMFM, the UMFM Second Stream, and right here on Hockey Blog In Canada! The Hockey Show, Canada's only campus-produced hockey radio show, returns to the comfy confines of the 101.5 megahertz location on your radio dial and across the internet at the UMFM website. It should be a fun show tonight as go over all the reasons why Ondrej Pavelec should have remained in the AHL, and there are quite a few. People who demanded his call-up from the Moose should be publicly ridiculed for their lunacy, and we may do a little of that tonight. There quietly were some side bets made between your hosts, so we'll go over why one host in particular not only bet against the odds, but may have inadvertently lost all credibility when it comes to his Pav-love. Along with our Pavelec discussion, we'll discuss the Coors Light-Gatorade-Honda-DraftKings-Bridgestone-Oscar Meyer-Discover NHL Skills Competition. Seriously, every event and the entire event itself has a corporate sponsor. This is starting to get ridiculous. We'll touch on the NHL All-Star Game, some international hockey news as the 2017 Winter Universiade Games get underway this weekend in Almaty, Kazakhstan, throw out some updates from Aalborg, Denmark, talk about a great guy doing amazing work across the globe with charities, and Hayley Wickenheiser's retirement from on-ice action and what that means for hockey in Canada and across the globe. And just to appease TJ, we'll mention someone's birthday today. It's going to be a packed show from all corners of the globe, so tune in tonight at 5:30pm to join the action! This is getting repetitive, so you should just go do this. If you own an iDevice or Android device you should have already downloaded the UMFM app. It's the easiest and most convenient way to listen to any of UMFM's great shows, so get to it! Just follow this link on your iDevice or this link for your Android device and get the UMFM app! It's never been easier to tune into The Hockey Show or UMFM! Download the UMFM app today! Tonight, Teebz, Beans and TJ go over the Pavelec experiment, the NHL All-Star festivities, some international hockey news, and the loss of a Canadian icon from the hockey scene on The Hockey Show only on 101.5 UMFM and on the UMFM app! 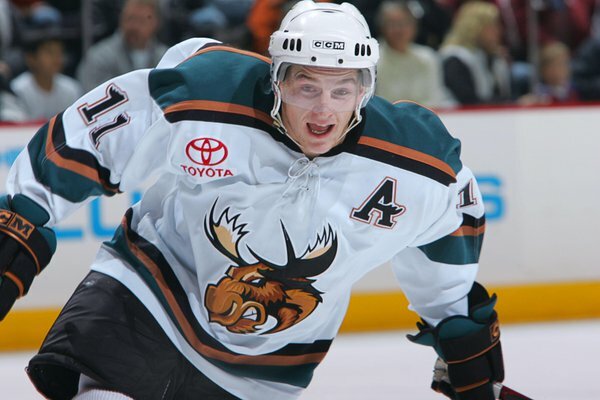 He was always one of my favorite players with the Manitoba Moose. Rick Rypien passed away on August 15, 2011 after succumbing to his battle with depression, and it's still hard to digest when you think of the young man's extraordinary life in beating the odds to make it to the NHL. Undrafted out of the WHL, he went on to score NHL goals, fight the biggest and meanest kids in the yard, and still loved being out in the community with kids and families as a professional hockey player. Behind closed door, though, the vast majority of us had no idea the kind of battle that was being waged internally in Rick Rypien. Craig Heisinger did, and I think it's extremely important that every see the following video. That's a moving piece by TSN, and Sara Orlesky deserves a nod for her work in this piece. While this feature has been nominated for a Canadian Screen Award, I think it's a necessary viewing for the conversation happening on social media on today, #BellLetsTalk Day. The hashtag won't be good for a donation here, but I would hope that you'll jump on whatever social media options you have available and use the hashtag or watch a few videos. Every time you do, Bell will contribute five cents towards mental health awareness and research in Canada - research that will save lives. Research that will go towards eliminating the stigma that comes with mental health issues. It starts with each and every one of us. If you need to talk, please reach out. My email is above, the phone is nearby, friends will listen. We're all here for each other, and no one will turn his or her back on you. It's #BellLetsTalk Day, so let's talk, Canada. Let's have a serious discussion about mental health, and let's eliminate this stigma that comes with it. I'm here to listen if you need it, and I'll happily provide support if you reach out. Everyone has played air hockey at some point in their lives. 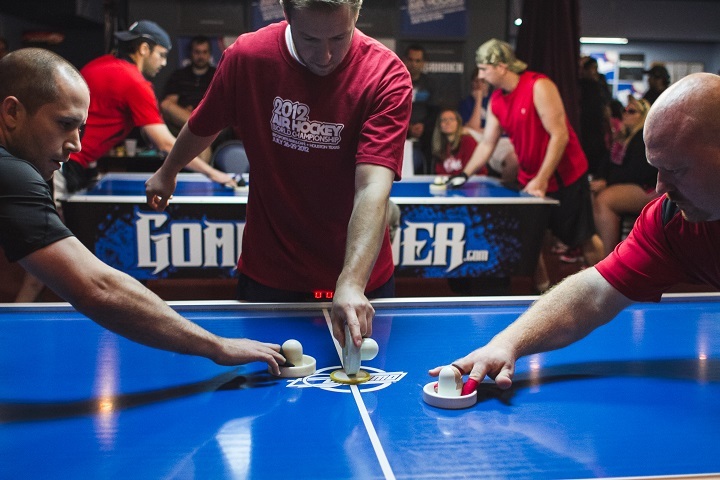 If you're one of the few who have not, it's a pretty cool experience where a disc - the puck - sits atop a low-friction table and players at either end of the table use some sort of paddle to send the disc towards his or her opponent's end with hopes of scoring a goal. Normally, the tables have tiny holes in which air is pumped through them to reduce the friction, giving the game its name of air hockey. While this game might seem easy to the uninitiated, it can be a rapid-fire, heart-racing match between two opponents. Unfortunately, the dominance of air hockey by humanity might be coming to an end. I found this video on YouTube from a user named Jose Julio who seems to be some sort of Android wizard when it comes to programming. Don't let the techno-babble worry you too much at this point because it's what Jose created that should put the fear of Skynet into you. In the video below, you'll see Jose use his Android phone to allow a robotic air hockey player come to life and become what appears to be a rather solid air hockey player! Check it out! Seriously, that robotic air hockey opponent defends the net like a demon! How does one score on that thing ten times? This might be humanity's downfall, and Jose Julio is the mastermind that put the paddle in the robot's hand! In all seriousness, I find this to be pretty cool as a tech guy. The robot moves on two axes, locates the disc using the camera and predicts its trajectory with the software, and the bluetooth commands make the robot move around its side of the board. This is one of the coolest things I've seen someone do when it comes to using technology to improve a game, so here's a big kudos to Jose Julio! I followed the JJRobots website at the end, and Jose Julio has actually posted the plans for the robot and the code needed for the software online! If you have a bit of a technical and mechanical whim about you, feel free to create your own humanity-defeating air hockey robot and post the results here! I'd love to see your creations! I'm no Kyle Reese here, but it can't be bargained with. It can't be reasoned with. It doesn't feel pity, or remorse, or fear. And it absolutely will not stop... ever, until you have lost! Ok, maybe that's taking it a little too far, but Jose Julio has created a very cool machine that will not let up until it has defeated its human opponent. The age of the machines is upon us, air hockey competitors! There were a few teams who could officially punch their tickets to the postseason this week depending on results. The hopes of two teams may be fading away if they don't find a way to win in regulation over the next four weeks of action while everyone in the middle is still jockeying for positions when it comes to home playoff dates. It's another big week in Canada West women's hockey, so let's get to it! CALGARY at ALBERTA: I figured I might as well start with these two teams because this is really a tale of teams moving in opposite directions. Autumn MacDougall at 9:47, Kennedy Ganser at 15:21 on the power-play, and Alex Poznikoff at 17:27 put the Alberta Pandas up 3-0 after the first period. It looked like this game might be a blowout with how the first frame went, but there was only one goal in the remaining 40 minutes as MacDougall picked up her second of the game at 5:43 of the third period. It was not a good game by any means for the Dinos as they managed just eight shots on Lindsey Post in the 4-0 loss. Post, as stated, made eight stops for the shutout victory while Kelsey Roberts stopped 33 shots in the loss. ALBERTA at CALGARY: The second-half of the home-and-home went even worse for the Dinos. Alex Poznikoff scored just 1:05 in for the Pandas, but the Dinos evened the score at 9:59 when Kate Lumley's shot beat Dayna Owen. For the next 50 minutes, it was a mauling by the Pandas. Deanna Morin scored at 13:37 and Poznikoff had her second of the game at 17:58 to make it 3-1 for Alberta through one period. Lindsey Weech would score on the power-play at 3:06 of the second, and then the floodgates opened in the third period as Autumn MacDougall scored 18 seconds into the third period, Kennedy Ganser added another power-play goal at 15:30, and Poznikoff capped off the hat trick with a power-play marker at 17:27 to give the Alberta Pandas the 7-1 win. Dayna Owen made 15 stops in the win while Sarah Murray stopped 32 shots and remained in for the full game in the loss. LETHBRIDGE at MANITOBA: Again, this series appeared to be a story of two teams going in opposite directions, but I want to tag that with an asterisk. I'll explain more below, but let's get into this game. Manitoba opened the scoring when Alex Anderson followed her shot to the net from the half-boards, found the loose puck in the scrum, and slid the puck under Alicia Anderson at 17:33 to go up 1-0. Lethbridge took advantage of a somewhat lackadaisical Manitoba penalty kill early in the middle frame. Tricia Van Vaerenbergh made a move around Alex Anderson, skated in on the two-on-one, and fired a rising wrist shot over Rachel Dyck's glove to make it 1-1 just 47 seconds into the second period. That goal seemed to awaken the sleeping giant, though, as Manitoba literally took over the game from that point. Manitoba owned the possession stats for the next 19 minutes as Sheridan Oswald scored twice in 10:33 and Venla Hovi scored her eighth of the season at 17:39 to put Manitoba up 4-1. An Erica Rieder power-play goal at 6:37 of the final frame was more than enough for the Bisons after sleepwalking through the first 21 minutes of this game as they win 5-1. Rachel Dyck records the 15-save victory while Alicia Anderson takes a loss despite making 29 saves. LETHBRIDGE at MANITOBA: Saturday's game had much of the same feel as the previous night's game as Lehtbridge kept pace with a seemingly quiet Manitoba team through the opening period. The second period would see Manitoba slant the ice in their favor as whatever coach Jon Rempel said between the periods seem to wake the Bisons from their slumber. Venla Hovi opened the scoring at 4:45 by going high glove-side on Anderson, Sheridan Oswald scored at 12:15, and Hovi added a second goal on the power-play at 14:30 to give the Bisons a 3-0 lead through two periods of play. Alannna Sharman got in on the action before the water was even frozen in the third period as she scored 37 seconds into the final frame. Erica Rieder would strike on the power-play once again as she found the twine at 6:49 to Manitoba up 5-0. Lethbridge would call a time-out and swap goalies as Anderson was relieved by Jessica Lohues for the final 13:11, but neither team would add any more ink to the scoresheet in the 5-0 Manitoba win. Amanda Schubert had a relatively quiet night in stopping ten shots for the shutout win while Anderson suffered the loss in making 16 saves in 46:49 of work. For the record, Lohues made ten stops in her 13:11 of action. REGINA at MOUNT ROYAL: Like the old days of the CFL, the two teams with identical team names met in Calgary as the Mount Royal Cougars hosted the Regina Cougars. With two wins in regulation, Mount Royal could be tied with Regina, so these were big games for both teams! The opening frame saw chances for both teams, but some swollen posts kept the game knotted up in a scoreless draw. It appeared the second period was going to be duplicate of the first period, but a turnover with 5:41 remaining allowed Kylee Kupper to gain possession and fire a wrist shot that glanced off a defender and past Emma Pincott for the 1-0 Regina lead! That lead would only last 1:26 as Tianna Ko tapped home a bouncing puck on the power-play that Morgan Baker couldn't corral, and these two Cougars teams were tied at 1-1! Mount Royal came out of the intermission with all sorts of fire as they took the game to Regina. They were rewarded for this effort at 7:33 when Shawni Rodeback's seeing-eye shot found its way past a mob of players standing in front of Baker to dent the twine, and the Mount Royal Cougars took a 2-1 lead! Despite playing some desperate hockey down the stretch, the Regina Cougars simply couldn't get the puck past Pincott as she held the 2-1 score to the final buzzer! Pincott stopped 21 of 22 shots sent her win for the win while Baker made 33 stops in the loss. REGINA at MOUNT ROYAL: Saturday's game loomed large as the two teams were separated by a mere three points in the standings. It would be the home squad who got things going early. Gabrielle Seper stripped the puck from a Regina player in the neutral, turned her sights towards Morgan Baker, and unleashed a laser of a wrist shot high on Baker's right side that the goalie couldn't handle for the 1-0 Mount Royal lead just 5:22 into the game. Despite some quality chances for both teams through the remaining fifteen minutes, the 1-0 lead would hold through the intermission. Lilla Carpenter-Boesch used a turnover to get Regina on the board. Just after an MRU penalty had expired, Carpenter-Boesch stole a puck in the slot and deked nicely to get Pincott moving before sliding it under the netminder for the 1-1 tie at 4:27. Mount Royal would use a power-play of their own to jump back on top. With the extra attacker out on another delayed penalty, the six-on-four advantage generated a chance on Baker that hit a player in front of her, but Reanna Arnold was in the right spot to deposit the loose puck into the back of the net at 7:29 for the 2-1 lead. Late in the period, Tianno Ko was tripped up in the offensive zone, leading to a two-on-one featuring Jaycee Magwood and Kylie Gavelin. The two snipers bore down on Pincott, and Magwood fed Gavelin who converted the pass nicely to make it a 2-2 game at 18:19. The third period featured no goals, so this game went to overtime. And then a second overtime period. And those two extra periods solved nothing as well, so this game would need a skills competition to determine a winner. Morgan Baker was perfect in the breakaway contest on all three shots she faced while Emma Waldenberger scored on Regina's first shot in the shootout as Regina won this game 3-2! Baker made a 25-save effort for the win while Pincott stopped 29 shots in the loss. UBC at SASKATCHEWAN: The Huskies were in tough against the nation's top team, but they were looking to do what Alberta and Manitoba did in previous weeks in defeating the UBC Thunderbirds and slowing their momentum. The Huskies started the game off right when they struck first. Kaitlin Willoughby threaded a gorgeous pass through traffic to find the stick of Elizabeth Salyn at the side of the net, and Salyn tucked it past Amelia Boughn's stick for the 1-0 lead at 7:19. Both teams would battle through to the end of the period, but Saskatchewan clung to the one-goal lead. UBC would tie the game on a power-play late in the second period after both teams traded opportunities up to that point. Mathea Fischer's shot off a rebound found the top of the net as Cassidy Hendricks was down on the ice, and the Thunderbirds drew even at 1-1 at 16:40. That score would hold for the next 23:30 of regulation time as neither team could break the deadlock in the third period. Overtime also solved nothing, so it was off to double-overtime. The three-on-three overtime period proved entertaining as the Huskies just barely missed a winner before Fischer and Nicole Saxvik tore down the ice for UBC on a two-on-one. Fischer zipped a pass over to Saxvik, and the veteran T-Bird does what she does best as she beat Hendricks for the game-winner in the 2-1 double-overtime win! Boughn stopped 27 shots in the game for the win while Hendricks made 23 saves in a losing effort. UBC at SASKATCHEWAN: From a defensive battle on Friday to a last-goal-wins game on Saturday! Here's how the teams traded goals. It was 2-0 after the first period as Rachel Johnson put Saskatchewan up with a goal stick-side on Boughn at 9:24 while Emily Upgang intercepted a pass in front of Boughn and went shelf on the sprawling netminder at 14:35. Saskatchewan went up by three goals early in the middle frame. Kori Herner went high on Boughn's right-side for the 3-0 lead at 2:12, but that was reduced back to two goals just 33 seconds later when Kelly Murray's shot from the point deflected off a Huskies defender and past Cassidy Hendricks to make it 3-1. Despite chances at both ends, Saskatchewan took the two-goal lead into the third period. The third period went a little crazy. Nicole Saxvik was left all alone in front of Hendricks at 7:44, and her snipe to the glove-side found the back of the net to make it 3-2. Bailee Bourassa would restore the two-goal lead at 13:04 when she chipped in a rebound that Boughn couldn't smother for the 4-2 Huskies lead. 57 seconds later, UBC caught Saskatchewan on a terrible line change, and Nicole Saxvik slid the puck past a somewhat-helpless Hendricks to make it 4-3. The T-Birds continued to press, and they would tie the game off a slap shot from Hannah Clayton-Carroll from the top of the circle that Hendricks couldn't stop at 16:07! With the game tied at 4-4, the final horn meant we would go to overtime! All that was needed, however, was nine seconds. Off the opening draw in the four-on-four period, Lauren Zary won the puck to Kaitlin Willoughby who streaked into the UBC zone and hammered a blast past Boughn top-shelf for the 5-4 Huskies overtime win! Hendricks stopped 17 shots in the overtime win while Boughn suffered loss after making 21 saves. I always try to finish The Rundown off with some positives, so let's get a few clerical things out of the way. UBC, Alberta, Manitoba, Saskatchewan, and Regina have all punched their tickets to the Canada West postseason. Mount Royal can earn their trip to the promised land with any combination of the Cougars winning in regulation or Lethbridge losing in regulation on Friday. Calgary is officially eliminated from the playoffs with the combination of their losses and Mount Royal's win over Regina this past weekend. Basically, all that's left in Canada West to do is to determine positions and see if the Dinos and Pronghorns can play spoilers for a few weeks. Having been able to watch the Bisons and Pronghorns this weekend in-person and on video, you might look at those scores posted by the Bisons and say, "Lethbridge stood no chance." You'd be partially right based on the present info, but the Pronghorns are building something pretty special if head coach Michelle Janus can get some pieces she needs next season. Lethbridge has an extremely good set of goaltenders in Alicia Anderson and Jessica Lohues. They have talent up front in Tricia Van Vaerenbergh, Brett Campbell, Katelyn Breitkreuz, Jordan Doram, Sarah Spence, and Jenae Culp. Defensively, they got overwhelmed, but the likes of Mattie Apperson, Jodi Gentile, Kirana Stocker, and Amber Yuha did all they could to try to neutralize the talented Manitoba lineup. This team isn't far from running with the top-six in Canada West. They're only eight years into their promotion from the ACAC, but they've certainly found talented players. It's hard to convince players to come and play on a team that will probably earn a maximum of five regulation wins this season, but for those players in Alberta who are reading this, go check out the University of Lethbridge as a hockey school. Yes, I know playing for Howie Draper in Edmonton would be a thrill, but I guarantee you'll see the ice more in Lethbridge and you'll be a part of something big. The Pronghorns aren't going to win Canada West this year or next year. And let's be honest: not in the next five years either. But what they're building and what they are doing can be seen in the passion these players have the game. They pushed back when Manitoba pushed them. They fought tooth-and-nail to earn their spots on the ice. They should not hang their heads in the two defeats in the Manitoba capital this weekend. They're on the right track. This is what I am saying when I implore you to check out USports Women's Hockey. It's an amazing game where some 40 women show incredible passion, talent, and drive all while being top-notch students. Yes, the Pronghorns are trying to attract talent, but they can't do that if potential recruits simply look at their win-loss record and dismiss them. Look deeper. See the amazing women who make up this team who are as passionate about hockey as anyone I know. And for everyone else, get out and see a game or two. It's incredible action! It's not often that I'm busy for the entire day on Saturdays. Usually, I'm out doing something, but still have time to catch a game or two on TV, on the radio, or over the internet that interests me. Today, though, I'm busy all day. That will, of course, limit my blogging output to basically nil later today. Because of this, I'm relying on Sports Illustrated to pick up the mantle and run with it today. The story being presented is of one of the most interesting teams that lasted just two years in any league. The UHL's Danbury Trashers played out of the Danbury Ice Arena in Danbury, Connecticut in the UHL's Eastern Division. They lasted from 2004-2006, and their entire history is littered with crazy stories. Founded by James Galante, a garbage disposal mogul, after seeing the enthusiasm for the game at his son's high school games, the Trashers took advantage of the New Haven Knights folding and the NHL lockout. What went on behind the scenes, though, is the stuff heard only in legends and in the movie Slap Shot. Here is Sports Illustrated's telling of the story of the Danbury Trashers. There is some PG-rated language, so just a warning to those with tykes who may read this blog. Ok, let's run down the amazing stuff the Trashers did. AJ Galante was named President and GM of the Trashers at the age of 17. According to reports, UHL commissioner Richard Brosal thought the announcement was an April Fool's Day prank. AJ's friends designed the logo. Let me rephrase: teenagers designed the logo. The team, at some point in their two year history, employed the following players: Rumun Ndur, Michael Rupp, Brent Gretzky, Jon Mirasty, and Stephen Peat. In two seasons, the team won no fewer than 44 games, and lost in the UHL Final in the second season. In both of their seasons, the Trashers eclipsed 2200 PIMs, averaging over 30 minutes in penalties per game in their two seasons. As heard in the video, the Trashers trainer "washed their jerseys in Crisco" so opposing players couldn't grab onto them. In Season One, Ndur was suspended for 20 games for attempting to kick a linesman during a donnybrook. Unhappy with the officials' work in the game, James Galante went to ice level, entered the penalty box, and reportedly punched a linesman. As a result, the linesman was also suspended five games for his part in the fracas! In another brawl in that season, Chad Wagner broke free of a lineman escorting him off the ice, charged the Adirondack Frostbite bench, and grabbed the Frostbite head coach while two other Trashers players pummeled him. As a result, Wagner was banned from the UHL. In June 2006, James Galante was charged with 72 various charges including racketeering. As a result of the many charges and fines, the Trashers were forced to disband. Wow. That's a heckuva story written by the Trashers. With the way the game is played today, I'm almost certain we're never going to see a team like that again. And that's probably a good thing based on how the history of the Trashers ended. The last couple of decades in the NHL have limited the scoring output for most players. From the "dead puck" era where the trap was used by the majority of teams to Michelin Man-like goaltenders using equipment that turns them into mobile walls, scoring has been down considerably when compared to the free-wheeling NHL of the 1980s. 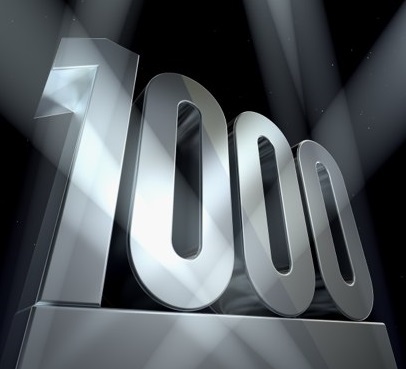 Knowing this, reaching milestone achievements is a remarkable accomplishment. Tonight, we were treated to one of those accomplishments in grand style. We usually only get the "former Canuck Roberto Luongo" storyline when Vancouver and Florida meet, but there was hope that longtime Canuck Henrik Sedin would score his 1000th point at home. The Canucks, in a battle for a playoff spot in the Pacific Division, needed the win as much as Florida did to keep pace in the Atlantic Division, but there was anticipation in Rogers Arena as the hometown crowd waited to see one of their heroes reach a milestone mark in his career! The Canucks were trailing 1-0 midway through the second period when Daniel and Henrik went to work. How classy was the tap on the shinpads from Roberto Luongo as Henrik skated by? Yes, Luongo was treated less-than-classy in his final season with the Canucks, but Luongo and Sedin were friends and teammates and it appears the goalie still holds that fact to be true. As you heard on the broadcast, only 84 players before him have hit the 1000-point mark. Henrik Sedin is now the 85th player to add his name to that prestigious mark. For as much as people like to razz the Sedins for the way they play the game, there is no doubt that both brothers will be inducted to the Hockey Hall of Fame once their careers are over. Henrik might have ensured that with his 1000th career point, and Daniel is a mere 32 points back of that mark. He'll basically have to be a point-per-game player to accomplish it this season, but the Sedins would be the only brother tandem in NHL history to do so if Daniel can make it happen in the next 35 games. Tonight's honour is a huge accomplishment for any player. It's nice to see Henrik Sedin get to that mark after all he's done in a Canucks uniform over the course of his career. The Hockey Show, Canada's only campus-produced hockey radio show, returns tonight to UMFM's radio waves. It's always a big night when we can bring in a great guest, and tonight's show features a guy who never skips leg day. Ok, maybe just once. Tonight, we at The Hockey Show are excited to welcome one-half of the dynamic, dangling duo from the Letterkenny Shamrocks, Reilly! That's right, folks! 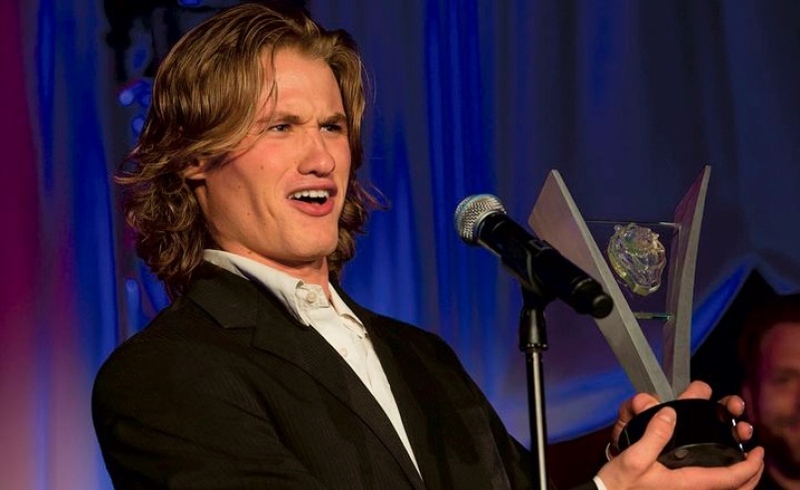 "The Flow" will join us on The Hockey Show tonight as we chat with Dylan Playfair about his life, his acting career, and more! We'll find out what it was like living with a dad who played and coaches in professional hockey, talk to Dylan about his own career, the moment he decided to switch his focus to acting, and some of the great roles he's had. We'll even ask him about his dad's major blow-up while with Abbotsford and how that affected him and his career! Of course, there will be a pile of hockey chatter as well, so please join us tonight at 5:30pm! I'm sure why you haven't done this yet, but if you own an iDevice or Android device you should have already downloaded the UMFM app. It's the easiest and most convenient way to listen to any of UMFM's great shows, so get to it! Just follow this link on your iDevice or this link for your Android device and get the UMFM app! It's never been easier to tune into The Hockey Show or UMFM! Download the UMFM app today! We talk to Dylan Playfair about his life, career, hockey-playing family, and more on The Hockey Show only on 101.5 UMFM and on the UMFM app! Yes, he's back. I had the privilege of being on CBC's Up To Speed with Ismaila Alfa Tuesday afternoon to talk about the Winnipeg Jets recalling Ondrej Pavelec amidst their current goaltending woes, and he started tonight against the Arizona Coyotes, also known as the NHL's second-worst team. It might be a good jumping-off point for Pavelec's return to the NHL since the Coyotes basically ice an AHL team as it is right now, but all eyes at MTS Centre and across Winnipeg were on the player in the blue paint as the game between the Coyotes and Jets got underway shortly after 6:30pm CT. The first shot came at 2:49 off the stick of noted sniper Josh Jooris as he wired a wrist shot inside the far post past Pavelec. A collective silence fell over the crowd as I'm guessing a lot of fans had the thought of "here we go again" creep into their minds. One shot against, one goal against, zero saves made. Would we see similar results to what had happened in the last four games with the Jets falling behind? Bryan Little redirected a Josh Morrissey shot past Mike Smith less than a minute later, but Oliver Ekman-Larsson would put the Coyotes back on top with his goal on a five-on-three man-advantage. Through one period of play, the Jets trailed, but didn't play poorly despite trailing on the scoreboard 2-1 and in shots 12-8. Having lost to Arizona a couple of weeks ago by a 4-1 score, the Jets needed a big second period to get themselves going. Blake Wheeler and Andrew Copp scored 1:39 apart early in the middle frame, and Joel Armia made it a 4-2 game with his redirection through Smith's five-hole at 12:49. And then Ondrej Pavelec decided to hit the highlight reels across the continent. I guess if one has been out of the public's eye for some time, one needs to make a big splash to be noticed again. That's a helluva splash if one was ever going to make a splash, but the save off Vrbata was called "lucky" by the netminder as he spoke to reporters. "It was kind of my fault, I couldn't hold the rebound," Pavelec told the scrum post-game. "Lucky save. It's nice to have that save, that's for sure. It feels really good. But we were up already 4-2 and it just [was a] lucky save." Head coach Paul Maurice had a much broader assessment of Pavelec's night. "What was good about his game was just build through it," Maurice told reporters. "There would be some nerves in that first part and he built and got stronger. Then he pulls the one out only a really talented man can do. I'm really happy for him, really happy for him. Going to the minors at his point in his career is a humbling thing and he figured out how to handle it right, get himself ready to get back up here." Before we starting handing him the Vezina Trophy and nominating him for the Hart Trophy, let's remember that Ondrej Pavelec is 1-0-0. 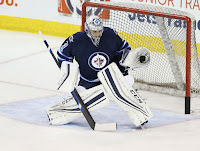 He backstopped the Jets to a win over the 29th-place team in the NHL in a game the Jets had to win. The real test will come in the next few games as the Jets welcome the Blues, Ducks, and Sharks to MTS Centre. 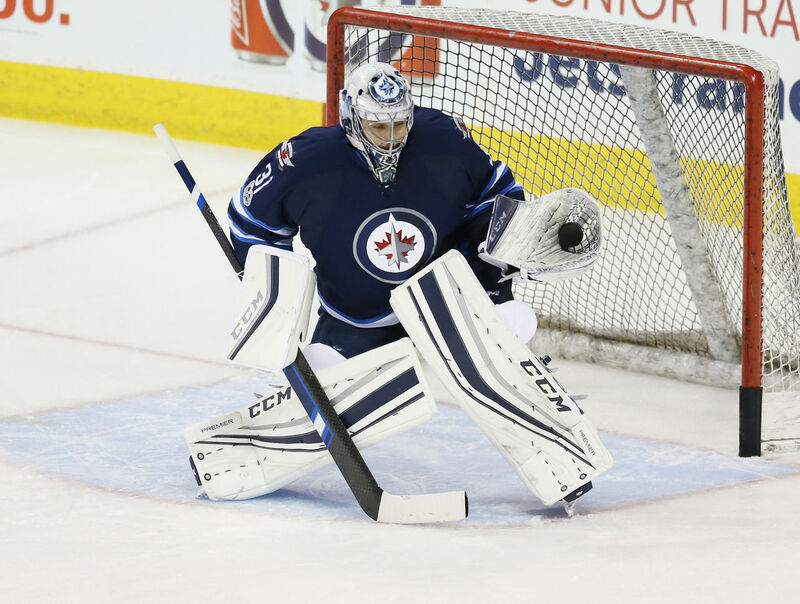 If Pavelec can go 3-1-0 or - dare I say it - 4-0-0 in those games, the Jets may have a reason to keep the veteran around for the entire 10-game audition or 30 days of service. But let's be very clear about this: Connor Hellebuyck is the guy going forward without any doubt in the franchise's mind. Credit to Ondrej Pavelec for coming into a situation where a bad game would have had the masses with torches and pitchforks at the doors of MTS Centre. He played well enough to snap the four-game losing streak, he played well enough to have the Jets take another look at him on Saturday against the Blues, and he played well enough for him to stick around a while longer. His games right now are essentially an audition for a different club next season, so it's in his best interest to play well. Can the Jets take advantage of that? It looked like Florida's decision to relieve Gerard Gallant of his head coaching duties might be the only move behind the bench this season. For some time, though, it has been rumoured that New York Islanders head coach Jack Capuano was on his way out, especially with the dreadful season that the Islanders have been having. They started the season horribly and have been playing catch-up ever since. It was strange to hear GM Garth Snow give Capuano a vote of confidence in November when everyone thought the inevitable would happen. It may have taken two months longer, but Jack Capuano was fired today by the New York Islanders. Assistant coach Doug Weight will take over in the interim as the Islanders now look for a replacement. 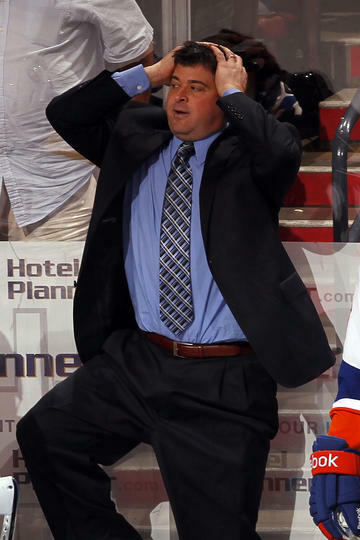 Capuano's Islanders are sitting at 17-17-8 with 42 points which is the lowest point total in the Eastern Conference. Capuano's overall record in seven seasons was a respectable 227-194-64, and he was the man calling the shots when the Islanders won their first playoff series in 23 years last season when they dispatched the Florida Panthers. In the what-have-you-done-for-me-lately league, though, they sit eight points out of a playoff spot despite their start and seem to have come around when it comes to winning games. It wasn't enough for Capuano to remain with the team, however, and the Islanders made the move to possibly light a fire in Brooklyn despite the team going 11-7-4 since November 25. "Obviously we're not in a position where we want to be standing wise," Snow said via conference call today. "At the end of the day organizationally I don't think Jack was probably going to be a coach that we were going to bring back." That one word - "organizationally" - was particularly interesting to me because it sounds like this move was made not from Garth Snow's office. For seven seasons and through a rebuild that one could arguably still claim is happening today, Jack Capuano was the man tasked with guiding the good ship Islanders. He took them to heights they hadn't seen in a generation and, while they may have fallen short when it came to lofty expectations, he got more out of the team than what most expected. It was Snow's next comment that really started to put things into focus regarding this change. "I don't know that Jack fell short of expectations," Snow told those on the call. "I think when you're a coach in this league sometimes you're a victim of different circumstances." What circumstances, you ask? New ownership is slowly integrating themselves into the everyday operations of the Islanders, and it seems that they may have wanted to go in a new direction "organizationally". Scott Malkin and Jon Ledecky publicly gave Snow and Capuano their votes of confidence just last summer, but it seems their patience may have worn thin when it comes to the Islanders making the playoffs and making the two owners some real money. With major changes to the roster, a loss of some major offensive players, and new players performing woefully poor, the team seems to have made the change simply to shake up the room. Snow acknowledged this fact on his conference call, referring to the adage of how it's easier to fire the coach than to make a bunch of changes to the team. One of those changes that came in the off-season was Andrew Ladd who has had a dreadful start to his Islanders career. Signed to a monster deal for nearly $40 million over seven years, Scott Malkin was part of team that recruited Ladd to sign with the Islanders as he told Arthur Staples that he "spoke with Malkin on the phone during Ladd's visit to Long Island". With fingerprints of Ledecky and Malkin starting to appear all over this team, it's clear that the two owners are intent on making this their team. And that's fine as they have every right to do so. The problem is that we've seen this time and again where owners meddle in the hockey operations, and the result is the hockey operations side suffers dramatically. Owners can certainly play a part in selling the franchise to free agents and draft picks, but digging their fingers into coaching changes and personnel moves usually turn out bad. That's why they're owners and not GMs. The Islanders will push on without Jack Capuano, and they'll probably win a few more games in the second-half of the season. They were winning games with him as proven by their record since late November, but I guess picking up only 59% of the points available wasn't good enough to offset the poor start the Islanders had. With the team looking for a new coach next season as indicated by Snow, the timing of this move could have happened anytime after January 1 based on the Islanders' start. Jack Capuano will land somewhere and have an impact. Like Gallant, though, ownership expected this team to be in a better position than where they were based on the calendar, so changes were made. Between injuries and poor performances, both Gallant and Capuano deserved a better fate based on their recent track record of successes with their former teams. I have been doing a lot of reading lately on a number of sites that often don't pertain to hockey. 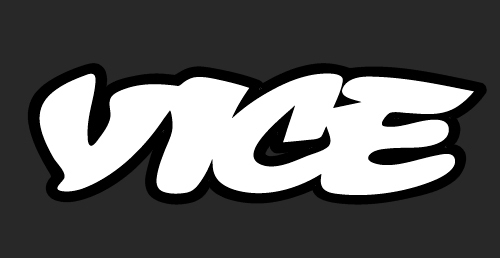 One of these sites is Vice as I am discovering that they have been featuring a number of excellent articles. Admittedly, I'm not into every article found on the site, but I usually discover a story that catches my attention. Today, though, Vice featured an amazing story that brought memories of a book I read as the site featured an incredible photo collection by Andreas Bruhn about the journey taken by former NHL and AHL coach Ian Andersen. Andersen's journey is similar to the one that Dave Bidini took for his book Tropic of Hockey, but Andersen's story is different. Instead of observing the various ways that ice hockey is played throughout the Middle East and Far East, Andersen has found a new love for the game in the Himalayan mountains where the thought of hockey might be foreign to most. The game, however, is thriving with the help of a few organizations. I'll let Mr. Bruhn describe the setting. It was through a previous season coaching in Serbia with Hockey Without Borders that Ian first heard of the North American NGO named HELP Inc Fund, an organization that works with marginalized people in the western Himalayas. Every year they collect donated hockey gear from Canada and the US and invite North American hockey players, coaches and youth leaders to volunteer as a way to democratize a sport previously only available to a lucky few on well funded rinks in the capital city of Leh. Now, a truly communal and possibly the most extreme hockey movement in the world is starting to spread far beyond the administrative capital. It was here, among ancient buddhist temples, Shia Muslim villages and semi nomadic yak herders that Ian spent several months as a travelling hockey coach, sharing his love for the game in its purest form with the people of Ladakh. It's this discovery of the love of the game that seems to bring Andersen back each year, and I can only imagine how incredible his journey has been. This is the kind of adventure that would open the eyes of many, and I am thankful that Andreas Bruhn has been capturing it through his lens to post both on Vice and on his website. How beautiful is this photo of Andersen lacing up the skates? Let me be the first to say that Bruhn's eye for photography is second-to-none. I went through the photos on his website, and his work is outstanding. The key in all of his work, though, is that he works with a charity to capture the images of people receiving the benefits of each charity's work. Whether it be the HELP Inc Fund bringing skates and sticks to the people of Ladakh, India to play hockey, protecting children in the golden triangle in Thailand with DEPDC/GMS, or civilian peacekeeping in South Sudan with Nonviolent Peaceforce, Bruhn's photos have captured moments that very few of us will ever get to see. Getting back to the Vice piece for a moment, hockey has a way of tearing down borders and bringing people together. It doesn't have to be a big, faceless business. It's about kids in India learning how to skate and figuring out the technique for taking a slap shot. It's about watching a tournament game in the middle of a Hong Kong mall or seeing smiling faces emerge from a rink into 45C weather in Abu Dhabi. It's about taking your kids out to an outdoor rink or pond on a cold, crisp day and letting them be kids. It's about opening up the backyard rink to everyone regardless of skill, age, or gender. Most of us won't have the experiences that Ian Andersen has had. Most of us won't even leave this continent to do charity work in another culture in another country. That doesn't mean that hockey can't bring us closer together, though. The camaraderie and joy of sport should bring us closer together. A prime example happened tonight in Edmonton as rookie Jujhar Khaira scored his first NHL goal. He grew up in Surrey, BC where he and his friends played street and ice hockey, but who would have thought some 22 years ago when he was born that he'd be only the third player of Punjabi descent to play in the NHL? With the work that Andersen and HELP Inc Fund are doing in these remote parts of the world, that number will hopefully increase in the future. It won't happen overnight or even in the next decade, but the fact that these kids in some of the most remote locations on the planet are creating new dreams by playing hockey is something we should get behind with every fiber in our bodies. Ian Andersen, by all measures and criteria, is a hero. On skates. If you have the means, please donate to a great cause like the HELP Inc Fund. As you can see, they're doing some amazing work in bringing the game of hockey to the most remote lands on the planet for the people who truly love just being out on the ice. HELP Inc Fund is looking for skates, sticks, street hockey sticks, sledges, helmets, shin guards, and interactive games for their Himalayan project. If you have any of these items, please contact the HELP Inc Fund here. I guarantee you'll change a life with your donation! It was the battle of the heavyweights this week as the top-four team in Canada West went head-to-head with positions in the standings at stake! This weekend's games legitimately could be the catalyst for the final standings in a month's time as there was some movement up and down the standings. Let's move onto the action as Canada West women's hockey heated up this weekend! MOUNT ROYAL at LETHBRIDGE: Let's start with the two teams battling for the final playoff spot in Canada West as the Cougars invaded Lethbridge for a date with the Pronghorns. Lethbridge basically had to win both games against Mount Royal to stay in the playoff race, so there were big stakes on the line in this series. The Pronghorns got things started on the right foot - hoof? - when Brett Campbell deflected a Jodi Gentile shot on the power-play that found the back of the net behind Zoe DeBeauville for the 1-0 lead at 8:43. The lead would last for about four minutes, though, as Reanna Arnold was the recipient of a turnover in front of Alicia Anderson, and she chipped the puck past the Lethbridge netminderw while on the power-play to tie the game 1-1 at 13:03. 3:07 after that goal, Megan Carver was in the right spot for a rebound after Anderson stopped an Anna Purschke deflection, and Carver made no mistake in burying the rebound for the 2-1 Cougars lead. Everything after that goal was denied. Both goaltenders went save for save through the second and third periods to preserve the 2-1 score that saw some monster saves at both ends of the ice. However, after the Pronghorns pulled Anderson to push for the equalizer Tianna Ko would use her speed to find some open ice and deposit the puck into the empty net with 39 seconds to play for the 3-1 Mount Royal victory. DeBeauville stopped 22 shots for the win while Anderson made 28 stops in the loss. LETHBRIDGE at MOUNT ROYAL: With Lethbridge nine points back of Mount Royal and the series shifting back to Calgary for the back half of the home-and-home, the odds were stacked against the Pronghorns' playoff chances. Would we see the Pronghorns play desperate hockey? Things didn't start well for Lethbridge as the Cougars struck just 2:39 into the game. Sarah Weninger wristed a shot from outside the blue line that handcuffed Jessica Lohues on the blocker side, and the Pronghorns neminder allowed a softie as the puck found the twine for the 1-0 Cougars lead. Goals like that can often take the wind out of the sails of a team, but the Pronghorns only upped the pressure as they would end the period with a 12-7 lead in shots, but trailed on the scoreboard. You know how in hockey a big save at one end often results in a goal at the other end? Well, Lohues made a great stop on Tianna Ko on a two-on-one only to see her team head down into the Cougars' end and score! Brett Campbell found the loose puck in front of the net on a scramble play, and she slid it past the sprawled Emma Pincott for the 1-1 goal at 15:08! Despite both teams having chances before and after the goal, both Lohues and Pincott held their ground in taking the 1-1 game into the third period. Mount Royal came out of the gates in third period looking like a team possessed. After clanking the post early on while buzzing the net, the Cougars finally were rewarded. Talia Terry forced a turnover at the Pronghorns' blue line, burst down the right wing, and wired a low shot under Lohues' blocker just inside the post to put Mount Royal up 2-1 at 10:42! The Pronghorns would answer on the power-play as Delaney Duchek found a loose rebound that Pincott couldn't cover, and she dented the twine with 4:38 to play as the teams found themselves in a 2-2 stalemate through end of regulation time. The first overtime period solved nothing despite it looking otherwise. Somehow, Rachel Piitz's shot off a rebound was determined by the officials to have been kept out by the glove of Lohues despite the celebration by the Cougars, so the teams moved to three-on-three. It was in this fifth period where Reanna Arnold dazzled. At 1:08, Arnold fought off a defender while controlling the puck, went backhand-forehand-backhand on Lohues to deke her out of position, and slid the puck into the undefended net! Game, set, and match on that beautiful individual effort as Mount Royal takes this game 3-2 in double-overtime! Pincott made 26 saves in the win while Lohues stopped 32 of 35 shots in the loss. SASKATCHEWAN at CALGARY: One of the teams looking to hunt down Manitoba and Alberta in the race for second-place is the Saskatchewan Huskies. Calgary isn't mathematically out of the running for that sixth playoff spot yet, but they've almost been relegated to the role of spoiler. Let's just say that Calgary fell short in that role on Friday. While the two teams skated hard in the early going, Bailee Bourassa opened the scoring for Saskatchewan as she kept on an odd-man rush and wired a wrist shot past Sarah Murray on the blocker side at 16:58. Hannah Heisler used a late first-period power-play to open the scoring in the second period. Heisler deflected a Lauren Zary shot past Murray for the power-play goal and 2-0 lead just 38 seconds into the middle frame. Despite some chances for the Dinos, the Huskies kept coming. Morgan Willoughby skated a puck into the zone and tucked a wrist shot under the glove of Murray at 13:57 to make it a 3-0 Huskies lead. The shots were basically even in this period, but the scoreboard was clearly in Saskatchewan's favour. An early icing call in the third period came to bite Calgary in the rear. After icing the puck on the opening face-off, the defensive zone draw was won by Saskatchewan's Lauren Zary who got the puck to Lori Herner. Herner went shelf on the short side past Murray for the 4-0 lead just 15 seconds into the period. Calgary showed some life two minutes later when Heather Berzins' shot was deflected up and over Cassidy Hendricks and into the net at 2:43 to make it 4-1, but Rachel Johnson would put the final nail in the coffin on this night when she gathered up her own rebound and slid it past Murray for the 5-1 lead at 8:39. With only four shots to speak of in the final frame, Calgary ran out of time in the 5-1 Huskies win. Hendricks made 22 saves for the victory while Murray stopped 31 shots in a losing effort. SASKATCHEWAN at CALGARY: The thing about teams who have very little to play for towards the end of the season is that they can often be dangerous. Saturday was a prime example of that fact. Both teams came out strong again, but it would be the Dinos who used the man-advantage to strike first. Megan Grenon final threw the gorilla off her back as her low wrist shot found its way through traffic and past Jasey Rae Book for just the fifth power-play goal of the Dinos' season, but Calgary was up 1-0 at 16:15. 27 seconds later, a rush led by Sage Desjardins saw her initial shot stopped, but Sara Craven took care of business as she made it 2-0! The second period started with the Huskies looking for revenge, but Kelsey Roberts was equal to the task. Calgary wouldn't sit back, though, as they extended their lead once more. Sara Craven took the pass from Sage Desjardins behind the net, and her centering pass banked in off the skate of Book for her second of the night and the 3-0 Dinos lead at 14:53. Book's night would come to an end at 16:42 as Sarah Hodges pulled her netminder to generate a spark. It seemed to work as the Huskies would cut the deficit to two goals a minute later when Lauren Zary hit Kori Herner in stride as she redirected the puck through the wickets of Kelsey Roberts to make it 3-1 at 17:45. The third period was a different story as the Dinos went into a defensive shell with the Huskies outshooting them by a 10-5 margin. Neither goaltender would allow a puck to get behind them, though, and this game ended with the Dinos on top by a score of 3-1. Roberts stopped 29 of 30 shots sent her way for the win while Jasey Rae Book took the loss as the goalie of record with eight stops on 11 shots. For the record, Hendricks stopped all five shots she faced in her 21:39 of play. ALBERTA at REGINA: Both teams had a shot at Manitoba's second-place standing depending on the results from the Manitoba-UBC series. Regulation wins became all that more important! Both teams played more defensively in the opening period that saw Regina outshoot Alberta 6-5, but neither team could solve the other's goaltender as both Morgan Baker and Lindsey Post were perfect through twenty minutes. And then Alberta exploded. Regan Wright beat Morgan Baker at 8:45 to put the Pandas up 1-0. Autumn MacDougall made it 2-0 at 15:13 when she chipped a rebound past Baker off an Alex Poznikoff shot, and Poznikoff got one of her own at 17:48 when she broke in and got a shot off, but corralled her own rebound and found the back of the net for the 3-0 lead. Alberta's speed and dogged determination - traits they are becoming known for - resulted in a 14-6 advantage in shots as they took the three-goal lead into the third period. Regina's only goal on the night came on the power-play at 12:52. Jaycee Magwood ripped a shot high that Emma Waldenberger gloved down in the slot where she turned and fired high on Lindsey Post, beating the Alberta netminder for the 3-1 marker. The tenacious defence and team speed that Alberta's been showing for the last couple of months paced them to another victory as they took this one by the 3-1 score. Post made 20 stops for the win while Baker stopped 24 shots in the loss. ALBERTA at REGINA: With a five-point cushion over the Cougars, Alberta's sights were set on catching Manitoba. Regina, meanwhile, needed to make up ground on Alberta after Friday's loss. Let's just say that one of these teams accomplished their goal. Cayle Dillon scored at 18:27 of the first period while Alex Poznikoff added a second goal at 10:44 of the second period, and that would be more than enough offence for Dayna Owen as she pitched the shutout on Saturday as the Alberta Pandas downed the Regina Cougars 2-0. Owen stopped all 25 shots she faced for the clean-sheet victory while Jane Kish stopped 29 shots in the loss. UBC at MANITOBA: In what was the featured games of the weekend, the top-ranked UBC Thunderbirds came into Manitoba after splitting with Alberta the weekend before. Seventh-ranked Manitoba was looking to extend the losing streak for the T-Birds while trying to make up ground on UBC. It should be noted before we break into this recap that UBC played without Cassandra Vilgrain and Kathleen Cahoon - two big pieces of their offensive game! Both teams had chances early on, but it would be a turnover at the Manitoba blue line that saw the first goal scored. Alanna Sharman poke-checked the UBC defender but also clipped her skates as she did, causing the defender to fall. Lauren Keen picked up the loose puck and fed Sharman who had already broke down the ice, and the Manitoba sniper made no mistake as she went high glove-side on Tori Micklash to put Manitoba out in front 1-0. The second period saw UBC establish their dominance as they outshot the Bisons 10-0 in the period, but Rachel Dyck was equal to the task. She made a number of incredible saves to keep UBC off the board as there were at least three chances where goals might have been scored had Dyck not been on her game. Manitoba`s fortunes in the third period changed as four straight penalties were called on the Thunderbirds. It would be the fourth penalty - a hooking call on Mathea Fischer - where Manitoba finally capitalized. Venla Hovi made a nice move to get in close, and she fed the puck to an open Alanna Sharman as Tori Micklash slid across the net. Sharman recognized this, and fed Hovi on the backdoor for the easy tap-in at 18:59 to put the Bisons up 2-0. UBC pulled the goalie as Manitoba was assessed a late penalty, but they could not solve Rachel Dyck on Friday night as the Bisons claimed the 2-0 victory. Dyck made 25 saves for the shutout win while Micklash stopped 20 shots for her first loss of the season. UBC at MANITOBA: After an emotional win the night before, Manitoba had to expect UBC to come roaring back on Saturday, and they did just that. Haneet Parhar scored on Rachel Dyck in close just 1:51 into the game, and she added a second on a deflection 4:02 later to put UBC out in front 2-0 before six minutes had elasped. And they weren`t done there. Ten minutes later, Parhar fed Emily O`Neill who was wide-open in the slot and she one-timed the feed through Dyck`s five-hole for a 3-0 lead at 15:28. 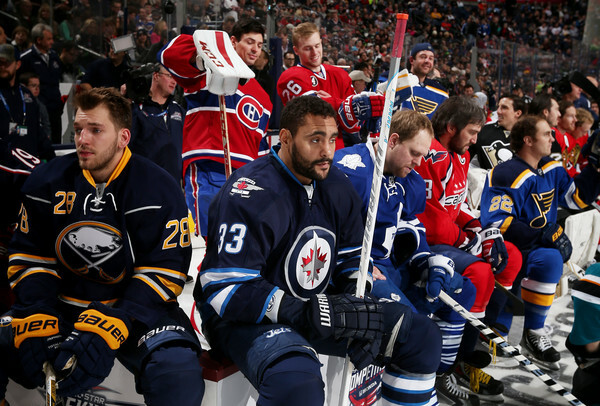 After a Manitoba time-out, the home squad seemed to get their heads back in the game. Venla Hovi cut down the right wing, cut into the slot, and fired a low shot that found room between Amelia Boughn`s pads at 19:45 to salvage something from the first period in which they were outshot 13-4. Whatever coach Jon Rempel said in the intermission seemed to have an effect on the Bisons as they played a much more complete second period. After an offensive zone face-off win midway through the period, the puck came back to Caitlin Fyten who fed Erica Rieder for the slap shot. Alana Serhan was positioned perfectly in front of Boughn as she deflected Rieder's shot past Boughn's glove to make it 3-2 at 9:39. While Manitoba still trailed, the middle frame looked a lot more like Friday night as they outshot UBC 8-4. The third period started the same way as the second period ended, but it was a turnover at the Manitoba blue line that set up the next goal. Mikayla Ogrodniczuk fed Nicole Saxvik after poking the puck away from a Manitoba breakout, and Saxvik fired a laser from the top of the face-off circle high glove-side on Dyck that the netminder couldn't snag for the 4-2 lead at 6:12. Manitoba would continue to press, and it would pay off just past the midway point of the period. Courtlyn Oswald fed Alex Anderson who skated in from the point, and Anderson went forehand-backhand before roofing the puck past Boughn at 12:32 to pull Manitoba within one at 4-3. Despite some incredible pressure late in the game, UBC withstood the barrage to emerge victorious with the 4-3 win. Boughn made 24 stops to record the win while Dyck stopped 18 shots in the loss. Keep your eyes on your social media accounts this week as more than 20,000 student-athletes will help lead the campus conversation about mental health, joining with fellow students and others in the university community to discuss the impact of mental illness and how to fight the stigma that keeps too many from seeking help. Student-athletes are also hosting events at 100 university games leading up to January 25. Every text message, mobile and long distance call made by Bell Canada customers. Every view of the Bell Let's Talk Day video at Facebook.com/BellLetsTalk. Every use of the Bell Let's Talk Snapchat geofilter. Make your voice heard by joining the voices on social media as Bell and USports programs across this country raise money to help fight the stigma and fund programming to address mental illness. Use the social media cues above, and let's try to bankrupt Bell with our efforts. Five cents may not seem like much, but 20,000 student-athletes can raise $1000 if each student-athlete participates just once. Let's make this the most prosperous Bell Let's Talk day in history!